There has been a lot of speculation if and when there will be Blizzard C-line release for our high-speed models. If you're not familiar with the Blizzard technology, it's the newest breakthrough in Disc Golf equipment by definitely the main contributor of the sport, Innova Champion Discs. The Blizzard discs utilize small micro bubbles in the rim of the disc allowing the high speed drivers to be manufactured in lighter weights than ever before. The success of the Blizzard discs is basic physics: a lighter projectile is easier to throw far than the heavy discs most disc golfers are used to. 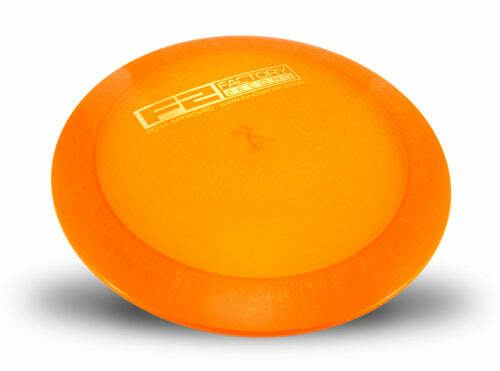 The best part about the Blizzard technology is that despite the Blizzard discs are lighter than regular discs, they imitate the flight pattern of the heavier discs really well: For example a 150+ gram Blizzard C-line DD2 acts very similar to a 170 gram C-line DD2. What is specifically interesting about the upcoming C-line Blizzard release is that our Blizzard models will be available in "tournament ready" weight ranges that go up to high 160's. These higher-weight Blizzard models will specifically accomodate the distance needs of those players, who have felt the Innova's Blizzard line-up too light and/or understable. DD2 & PD2 will be the two models that will be released Blizzard C-line in the near future. The advantage of having these two models available in lighter weight is that more players will be able to play with the fastest drivers in our selection and for the big arms there's more distance to be gained with these two models. 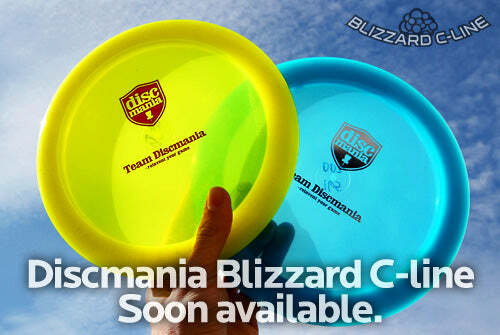 There's a limited quantity of Discmania Blizzards at the Innova Factory store. These "Factory 2nd" discs are cosmetically flawed discs that did not meet our quality standards for regular production. The flaws do not effect flight characteristics or durability of the disc. With the discounted price of 11 USD the supplies won't last long, so go grab yours while you still can! Innova's Blizzard Champion plastic is responsible for a new world record in Distance. 16-year-old David Wiggins Jr. broke Christian Sandström's old record from ten years back with 255-meter throw with a 134-gram Blizzard Champion Boss. More info on the new WR over at Innova's blog.